Watching dance on the big screen has many pleasures. Perhaps the biggest joy these days is being able to see, so soon after a premiere, works presented by major companies from the other side of the world. The recent screening in Australia of a filmed performance from the Paris Opera Ballet is a case in point. Filmed just days after the opening at the Opéra Bastille, this program brought together Le palais de cristal from George Balanchine and Daphnis et Chloé, a new work from Benjamin Millepied, shortly to take over at POB from Brigitte Lefèvre. Le palais de cristal opened the program. Made by Balanchine in 1947 especially for POB, it is better known around the world in a revised form as Symphony in C. One of the aspects of the filming that I especially liked was that the recording was often made from a position high up in the theatre. As a result the precise and very formal patterns Balanchine created for Le palais de cristal were easily appreciated. But we were also given many occasions to see the dancers as if we were sitting in the best seats in the house. The closer shots provided a good view of the costumes, newly designed by Christian Lacroix. Some have seen them as overly decorative. I thought they suited the work and I was especially fascinated by the tutus for the corps de ballet. They seemed to have a hoop-like addition to the skirt that gave them a kind of puff-ball look. But of course the highlight was the dancing. It is always amazing to see the precision of the dancers of the Paris Opera Ballet. Never a foot wrong! One dancer from amongst the soloists stood out. Not knowing the dancers as much as I would like I don’t know her name but she was, I think, of Japanese extraction. What appealed to me was the way she stepped forward into the space in front of her, generously, and the way her movements seemed to have an ongoing existence. A lift of the arm didn’t finish at the finger tips but looked as though it continued through space. Beautiful. Daphnis et Chloé had a certain fascination, given that I remain an admirer of Graeme Murphy and his works made for Sydney Dance Company made over a thirty year period between the mid 1970s and the early 2000s. Murphy’s Daphnis and Chloe, made in 1980 and designed by Kristian Fredrikson, could not have been further apart from that of Millepied. But I have no wish to make a comparison, just a comment on what a different take it was, visually, choreographically and in terms of portrayal of the narrative. I found Millepied’s work hard to follow. The choreography certainly flowed and there were some lovely moments of mass movement from the corps. But the storyline wasn’t really conveyed strongly. It was something of a cross between a story ballet and an abstraction, but in the end neither. The standout dancer was François Alu as Bryaxis. Millepied gave him a solo full of spectacular jumps and turns and he rose to the occasion. Daniel Buren’s large, brightly coloured shapes that descended from the flies and then withdrew back upwards were beautiful in themselves but they didn’t help with understanding the story. In the interview Buren gave to Mme Lefèvre prior to the start of the performance he talked about voids and the idea of occupying space. He is a conceptual artist but the concept he was aiming for with his design to my mind didn’t help the ballet. And why, at the conclusion of the ballet, were the dancers’ costumes transformed into colour from the white they were throughout the rest of the work? At the same time, Buren’s shapes were removed only to reappear a little later for a curtain call. The whole thing escaped me. I wondered whether, for this work, I would have been more satisfied had I been in the theatre watching live. Despite my problems with Daphnis et Chloé, it is always a huge pleasure watching Paris Opera Ballet performances. The practice of filming live and then transmitting around the world is a great initiative. May it continue. I finally got round to getting myself a copy of the DVD Never stand still: dancing at Jacob’s Pillow. And I’m so glad I did. What is particularly satisfying about this DVD documentary is that there is no promotion of a particular company or a person and no media hype. It’s simply about dance in its many and varied forms. ‘Dancing is direct and honest,’ says Mark Morris, one of the several illustrious interviewees appearing on Never stand still. And that’s what we get: direct, honest and simply beautiful dance. A few sections particularly stood out for me, although others will have their own favourites I am sure. I especially enjoyed segments featuring Mark Morris and his dancers, perhaps because those works of his I have seen recently have not impressed me to any great extent—Beaux danced by San Francisco Ballet and Pacific from Houston Ballet, both of which I saw earlier this year, left me feeling underwhelmed. Never stand still has some lovely footage from Morris’ Italian Concerto and Love Song Waltzes and a brief look at a work called Falling Down Stairs, which Morris made in conjunction with cellist Yo-Yo Ma, whom we also see on the DVD. The excerpts from these works show quite clearly what Morris is best known for, his astonishing musicality. And Morris is a forthright and articulate speaker in his interview segments. 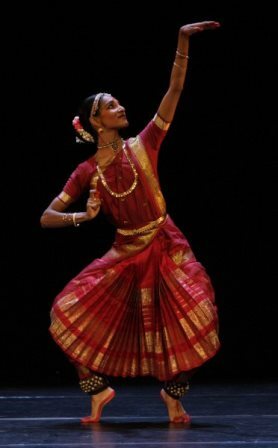 I was also especially taken with Shantala Shivalingappa, a solo Kuchipudi dancer born in Madras and raised in Paris. What an amazingly expressive body she has and how she uses it to her advantage. Every movement fills the space and she seems to linger a little at the high point of each movement before seamlessly continuing to the next. Segements featuring Suzanne Farrell speaking about her transition from Balanchine ballerina to company director make interesting viewing as do excerpts from Balanchine ballets she has set on her own company. Natalia Magnicaballi, a principal with Suzanne Farrell Ballet, is startlingly good in the lead in Tzigane. Gideon Obarzanek makes an appearance and there are excerpts from his work I want to dance better at parties performed by Chunky Move. I also loved the all too brief footage from Bournonville’s Napoli courtesy of the Royal Danish Ballet, along with a brief discussion of the Danes making their first appearance in the United States at the Pillow at the invitation of Ted Shawn. Then there’s Paul Taylor, Merce Cunningham, Judith Jamison, tap, vaudeville…so much more. Interspersed throughout the contemporary footage is rare archival material showing some of the early performances at Jacob’s Pillow along with an underlying narrative about Shawn and the founding of the this renowned festival, an annual event held at Becket, Massachusetts, in the beautiful surroundings of the Berkshire Hills. If you’ve been there it will bring back wonderful memories not just of the variety of dancing on offer, but of that glorious outdoor stage, those barns and the spectacular surrounding countryside. If you have not had the good fortune to be there Never stand still will make you want to pack your bags for 2014. Never stand still is so worth watching and is available online at the usual places for quite a small amount of money, even with our dollar falling against the greenback. Here is a link to the official trailer. New York does December in its own inimitable way and one annual and memorable event is a season of George Balanchine’s Nutcracker performed at Lincoln Center by New York City Ballet. This year, however, you didn’t have to be in New York to see the production. It was filmed live on 13 December and relayed in a high definition cinema broadcast across the United States. Just before Christmas it was screened in movie houses in Britain, Austria, Spain, Portugal and Australia. While we all know that there’s nothing like being there, I loved the way this Nutcracker was so carefully filmed, especially Act I. I even liked the way the camera selected close-ups and never felt I was missing out on the action by having a close-up cut into the full stage view. I mostly liked the views shot from a side box too, especially in the Snowflakes scene where a high view accentuated the enclosed space of the snow-covered forest without taking anything away from the dancing. From a filmic point of view, Act II was probably less successful. But I suspect that this had something to do with Rouben Ter-Arutunian’s somewhat overwrought set of sweets and candies. Its visual complexities detract from the dancing at the best of times and, when seen on screen, the limitations of the two dimensionality of the medium are accentuated. However, I never once wished it had been shot in 3D! One aspect of Balanchine’s version that I find especially enjoyable is the way in which children are incorporated into the production and the way the adult performers never treat them as anything but an integral part of the narrative. In Act I the children dance with the adults as well as with each other and have roles as soldiers, while in Act II they have their own roles as angels and as the children of Mother Ginger. In Act II they dance in the opening section and in the coda with all the panache of their adult counterparts. The coda in particular is quite fast but they are in there, totally unfazed and dancing beautifully. The roles of Fritz and Marie, or Clara as we more commonly know her counterpart in Australia, are also children’s roles, rather than roles for smaller company members as often happens. The children from the School of American Ballet, who fill all the children’s roles, are professionals-in-training and it is hard to fault the way they conduct themselves on stage. In the role of Fritz, Maximilian Brooking Lendegger was captivatingly naughty and almost stole the show from the rather more placid and appropriately well-mannered Colby Clark as the princely child hero and nephew of Herr Drosselmeier. Marie was danced by a very composed Fiona Brennan. I was also mesmerised by a dark- haired child aged about eight, the youngest (or at least smallest in height) of the Polichinelles who emerge from Mother Ginger’s skirt in Act II. She grabbed my attention immediately with her innate understanding of how to use the space around her to achieve maximum effect from her movements. Of the adult performers Megan Fairchild danced the role of the Sugar Plum Fairy and was partnered by Joaquin De Luz: lovely techniques both of them but on this occasion not much of the radiance that should accompany these roles. They are after all the roles of a prima ballerina and a premier danseur. The standout performers among the adults were Teresa Reichlen as a glamorously slinky Coffee, Tiler Peck as the leading Marzipan (in a tutu that I found clumsy and unattractive though) and Ashley Bouder as Dewdrop, the leading dancer in the Waltz of the Flowers. Bouder’s technical skills were electrifying. In Act I Adam Hendrickson gave a strong performance as Herr Drosselmeier. He captured every bit of the fantasy and mystery of this character. The film was introduced by Kelly Ripa, who hosts a popular television series in the United States, and she also hosted several backstage interviews during the intermission. They included some interviews with excited child performers and a discussion of some of the technical tricks asociated with the production – the Christmas tree that grows during the transformation scene, for example. They were all interesting, even fascinating at times, but I could easily have done without some of Ripa’s comments. They were no doubt meant to appeal but often dumbed down what was happening. Years ago now the American dance writer Edwin Denby remarked of Balanchine’s take on Nutcracker: ‘It’s Balanchine’s Oklahoma!’ This particular production, with sets by Ter-Arutunian and costumes by Karinska, dates back to 1964 and it is indeed a very American production, right down to its flying, reindeer-drawn sleigh that carries Marie and her Prince across the stage in the closing scene. At Christmas its glitz, even when it’s a little over the top and even when Ripa behaves a little too ingenuously, is irresistible. A clip on YouTube is brief and promotional (but professionally shot) and gives an overview of what the production is like. Pina Bausch died quite suddenly in 2009. It was a shock to most in the dance world and was the occasion for an outpouring of recollections and writing of various kinds. Sydney’s Spring Dance program, now in its third year, made its contribution with almost its entire program devoted in some way or another to the legacy of Bausch. A major highlight was Pina: a celebration, two days of talks and films hosted by journalist and broadcaster Caroline Baum. In terms of format, Pina: a celebration comprised three sessions, ‘Keys to your soul’, ‘Pina’s children’ and ‘Muscle memory’. Each was held in the Playhouse at the Sydney Opera House and began with a conversation between Baum and her invited guests. On each occasion the conversation was followed by a film screening. Although a major focus of the event was, to my mind anyway, on setting Bausch and her work within an Australian context, Bausch was absolutely central to the occasion and eclipsed most other aspects of the event. One of the unexpected highlights was a small snippet of footage shot in 1982 by Scott Hicks for a documentary on the 1982 Adelaide Festival at which Bausch and her company appeared. How warm and friendly Bausch seemed. And how cunningly she avoided the issue of how to describe her works by telling instead an amusing story about Alfred Hitchcock. 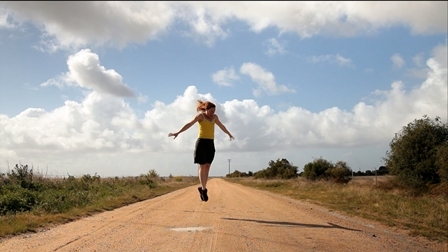 We saw Bausch again almost forty years later in \’Dancing Dreams\’, a documentary made in 2010 by Anne Linsel and Rainer Hoffmann on the creation of a new version of Kontakthof, a work Bausch first made in 1978 and which was seen in Australia in Adelaide in 1982. In this new production Bausch used teenagers over the age of fourteen as her entire cast. As Bausch watched rehearsals for this show we would occasionally see a smile break out on her now lined but always expressive face. There was again a sense of warmth and tenderness from the woman who was once accused of being a ‘theatre terrorist’ and making works that were the ‘raw pulp of abuse’. In the conversations with Baum, three of the five guests were Australians whose work had been influenced in one way or another by Bausch: Michael Whaites, Kate Champion and Shaun Parker. What instantly stood out was the sense of objectivity they were able to bring out in their comments and answers to Baum’s questions. After the reverential tone of Bausch’s dancers in the Linsel film Pina Bausch, it was invigorating to hear something a little more down to earth. Whaites in particular, the only one of the three who had worked in close proximity to Bausch, spoke of the need to maintain just a little distance in dealing with life in Bausch’s Tanztheater Wuppertal. And on another Australian note, Dancing Dreams afforded us the pleasure of watching Jo Ann Endicott, an Australian dancer who has been with Bausch since 1973, in her role as co-rehearsal director (along with Bénédicte Billiet) for the new production of Kontakthof. An unexpected (for me) addition to the program was a brief public conversation with photographer William Yang, whose images of two Bausch works, Kontakthof and 1980, taken at the 1982 Adelaide Festival were on view in the foyer. Yang, who admitted he was not really a great dance-goer, likened Bausch to Chekhov. ‘She understands the human condition’, he said. *Platel was a guest on ‘Mornings with Margaret’ on 31 August 2011. His interview is available as a podcast. Pina, shot in 3-D and directed by the acclaimed German artist Wim Wenders, has been touted by many as showing the way forward in terms of filming dance, giving back to dance the physicality that it apparently loses in regular filming. But I’m not sure that many of the reviewers who have hailed it as a breakthrough have actually sat in a theatre and watched a performance by Pina Bausch’s company, or any other dance company for that matter. For me the most interesting review to date has been by Australian playwright and commentator Louis Nowra. Writing in the August edition of The Monthly, Nowra astutely says, amongst other things, that the scenes shot out of doors are ‘[drained] of their claustrophobic power’, and that ‘the uterine universe that Bausch created onstage is dissipated’. His concluding statement is: ‘For all its 3-D marvels, the film finally doesn’t do her work justice’. And it doesn’t. Pina is not really a documentary. Nor is it really a dance film. It sits uneasily between the two. It shows sequences from four major Bausch works, Rite of Spring, Café Mueller, Kontakthof and Vollmond, in most cases danced by the current company. It contains some archival footage, although not as much as one might have hoped to see. It contains solos performed outdoors in locations around Wuppertal, the German city where the company, led by Pina Bausch and now since Bausch’s death in 2009 by Dominique Mercy and Robert Stürm, has resided for almost four decades. It shows Bausch’s current dancers talking about their experiences with the company and their thoughts about what it was like working with Bausch. Company dancers now, as they have been across the history of the company, are great movers. No doubting that. They are also articulate about their experiences and their emotional involvement in the act of working with Bausch. But what horrors are perpetrated by the 3-D technology! The scenic space in which the dancers perform is often far too deep and distorts the dancers. They often look far too small and far too thin. They don’t inhabit the space as living human beings but as kinds of puppet figures. We also, especially in footage of Rite of Spring, get some hideous close-up images (3-D close-up) of faces—images that we never see in performance, and that we are really never meant to see. Distance in the theatre has a place. Also having a place in the theatre and often missing in Pina is the intimate contact between performers that develops in the enclosed space of a theatre stage. In the deep 3-D recesses, dancers seem to be separated or disengaged from each other, from the props and indeed from the performing space itself, not to mention from the viewer—and I don’t consider having a face thrust straight into mine courtesy of 3-D an engagement with the viewer. How much more engaging is the archival footage (not filmed in 3-D) of Bausch herself performing in Café Mueller where we see her interacting with the space around her body, her personal space, as all great dancers are able to do, rather than seeing her placed within a technological extension of space. Going back to Louis Nowra, he is absolutely right that the very inward looking, almost narcissistic approach that seems necessary for the creation of a work by Pina Bausch is lost when the works (or parts of them) are placed out of doors. In fact for me the most interesting part of the footage shot out of doors was seeing the Schwebebahn, Wuppertal’s suspended monorail system that, as far as I am aware, is a somewhat over-engineered rail system that has never been replicated elsewhere. Worse than that, as far as I am concerned, is that the works lose their inherent, dancerly theatricality when shot in 3-D.